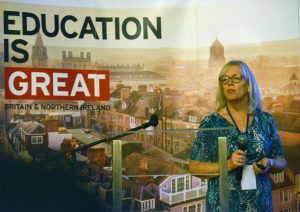 The University of Nottingham has shared expertise in interprofessional education and collaborative working at a high profile healthcare event in Jakarta, Indonesia. 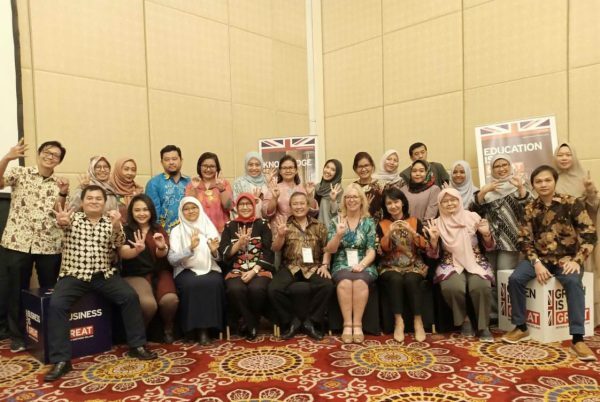 The Department for International Trade at the British Embassy and Indonesian Young Health Professionals’ Society, with support from Ministry of Research, Technology and Higher Education and Ministry of Health worked in collaboration to hold this one-day UK-Indonesia Interprofessional Education (IPE) Health Education workshop. Kirsty Hyndes, Associate Professor and Director of Centre for Interprofessional Education and Learning at the University of Nottingham, presented to over 200 delegates on the methodology of developing an interprofessional curriculum using educational pedagogy to design relevant and sustainable methods for the future. A very active workshop followed in the afternoon and colleagues from education and practice worked in small collaborative groups to design their own IPE activity. A wide range of health professionals and experts in Indonesia as well as colleagues from UK universities and Health Education England all presented and discussed their experience of educating the next generation of healthcare workforce – a true knowledge exchange event which brought together academics, practitioners and wider groups and communities to exchange ideas, evidence and expertise between the UK and Indonesia. Kirsty said: “Interprofessional Education in the curriculum is a requirement in the UK for healthcare professions from the professional bodies like the HCPC, GMC, and General Pharmaceutical Council and therefore is a common activity undertaken by UK students. However not all countries have this guidance despite the World Health Organisation recognising that this is the method by which the healthcare workforce for the future can be delivered.